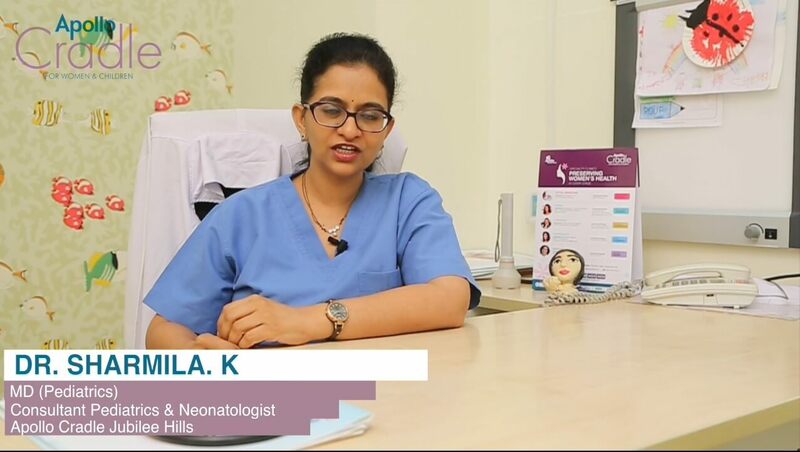 Dr Jayasree Reddy, is a senior consultant Obstetrics & Gynaecology at Apollo Cradle, Jubilee Hills.She speaks about High risk pregnancy cases coming to the hospital and also shared how these deliveries are handled with taking care of baby also. 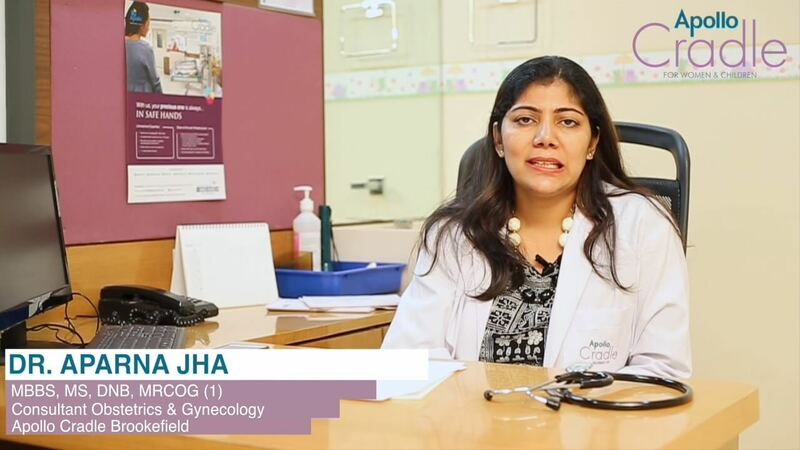 Dr. Garima Jain senior obstetrician at Apollo Cradle, Brookfield, explains on what to do and what not to do during the pregnancy to stay happy and healthy. 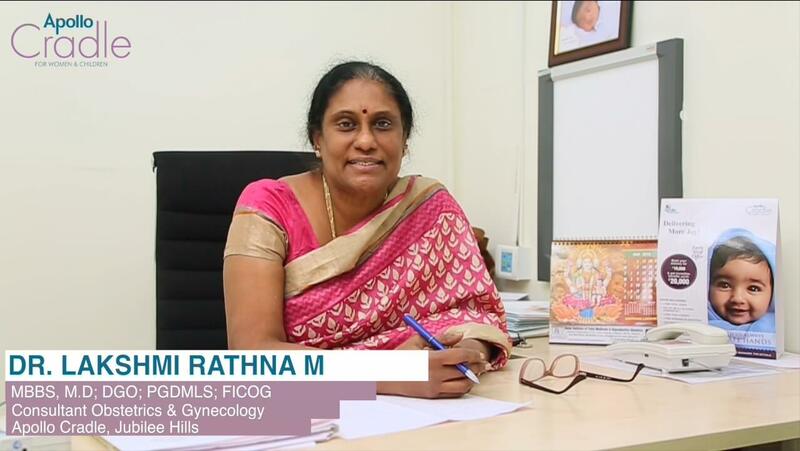 Dr Lakhsmi Rathna M, is a senior consultant Obstetrics & Gynaecologist at Apollo Cradle, Jubilee Hills. She speaks about Fibroids and it’s harmful effects. Also added to it why fibroids occur and treatment for the same. Dr Sharmila, is senior consultant Paediatrics & Neonatologist at Apollo Cradle Jubllie Hills. She speaks about Neonatal services & facilities at Apollo cradle and added to it speaking about specialist team. Dr. Usha BR, is a consultant Obstetrics & Gynecology, Infertility & Laparoscopic Surgeon at Apollo Cradle Jayanagar & Koramangala. She speaks about the advantages of Laparoscopic surgery / Key hole surgery. Also added to it the fastest recovery & less pain. 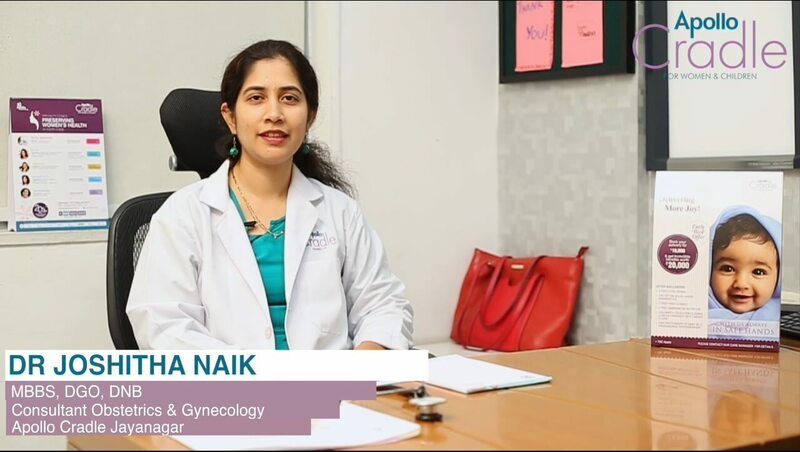 Dr. Aparna Jha, is a senior consultant at Apollo Cradle Brookefield, She speaks about Reasons for having less Normal Delivery and more number of C-Section. Also added the misconceptions about normal & Cesarean delivery. 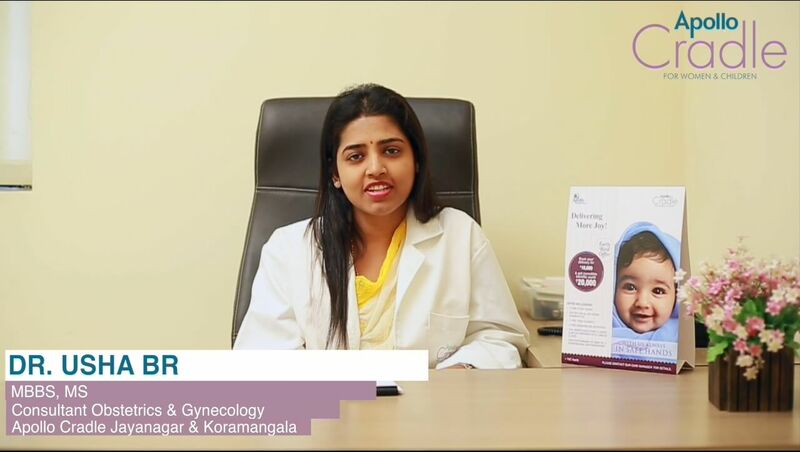 Dr. Joshita Nayak, is a senior consultant at Apollo Cradle Jayanagar, she speaks about the importance of pre-conceptional care and about the care aspects involved in the counselling. Also adds on the benefits of opting for pre-conceptional care. Dr. Mohit Singhal, MBBS, MD pediatrician. 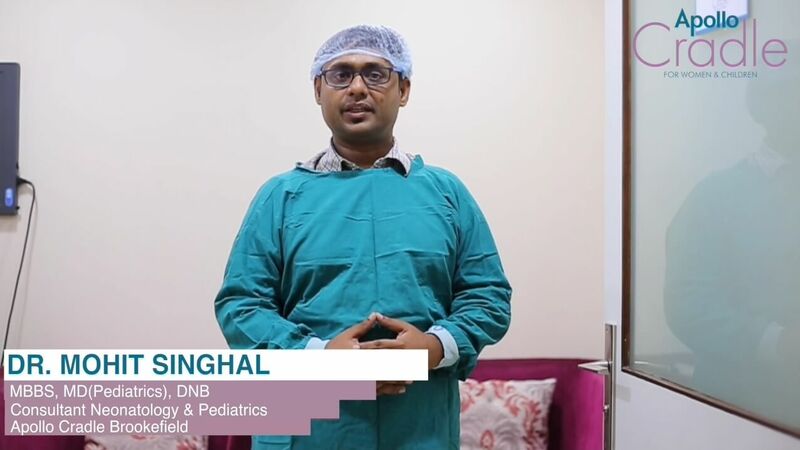 Consultant neonatologist at Apollo Cradle Brookefield explains about the high end equipment used at Apollo Cradle for treating high risk babies. Hence, Apollo Cradle the best place for your little one. 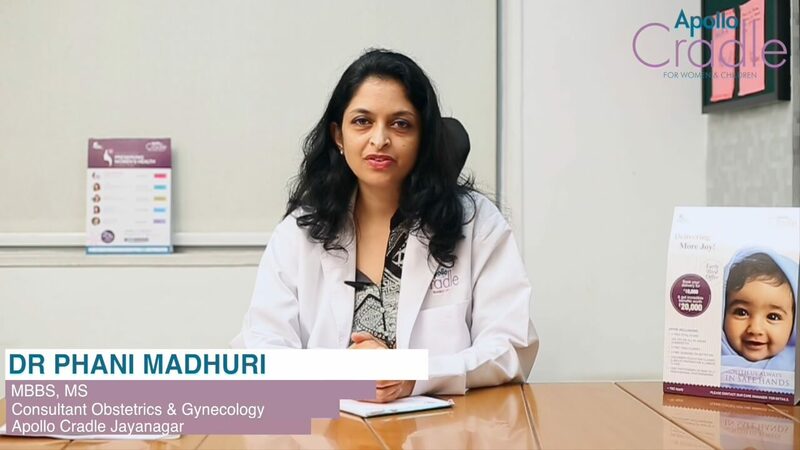 Dr. Phani Madhuri, Senior consultant in Obstetrics, Gynecology and Reproductive medicine at Apollo Cradle, Jayanagar, Bangalore, shares the possibilities of having Normal vaginal Delivery in the women, who underwent a C-Section in earlier pregnancy, that is called VBAC-Vaginal Birth after C-section. 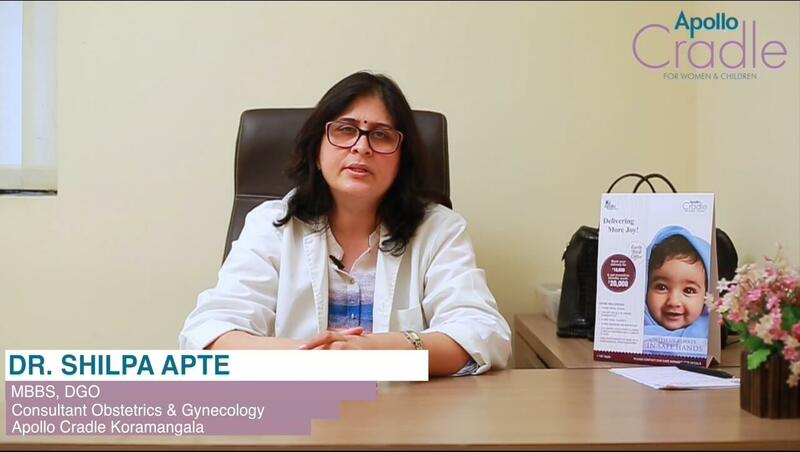 Dr. Shlipa Apte, Senior consultant in gynaecology and obstetrics at Apollo Cradle, explains on the experience of dealing high risk pregnancies. She adds how well equipped is Apollo Cradle in dealing high risk pregnancies and delivering safely.